It is no secret that I have a passion for Lepidoptera especially moths. When I get the chance, I like to study individual species to gain a greater understanding of their biology and ecology. 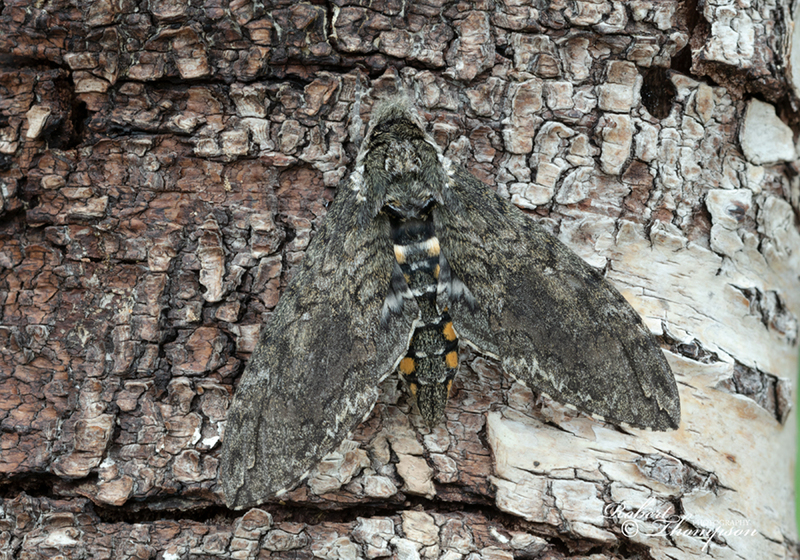 I have wanted to photograph this impressive hawk-moth for quite some time. My earlier attempts were less successful, but this year I managed to get an opportunity to improve on my existing imagery. 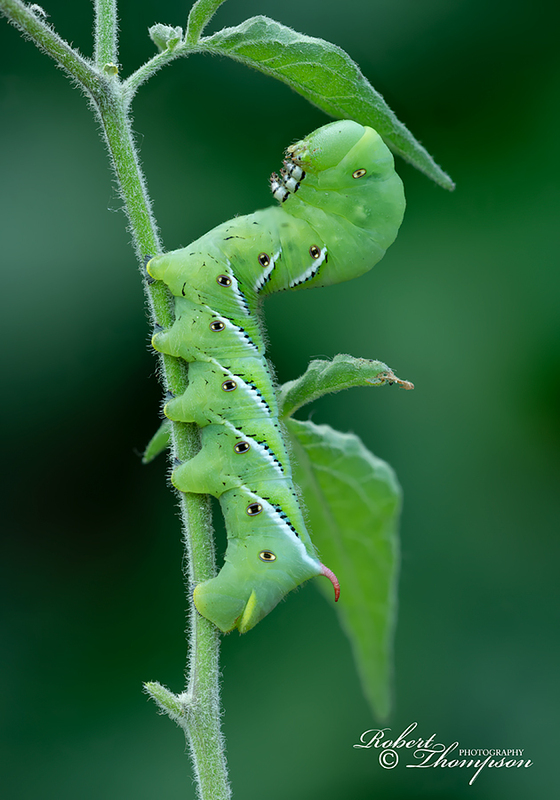 The Carolina Sphinx Manduca sexta or the Tobacco Hornworm as it is sometimes known has a widespread distribution throughout the United States. It extends north to the southern part of Canada and across Central America extending eastwards to the Caribbean. Nikon D850, 200mm Micro Nikkor Lens, f/11, ISO 200. 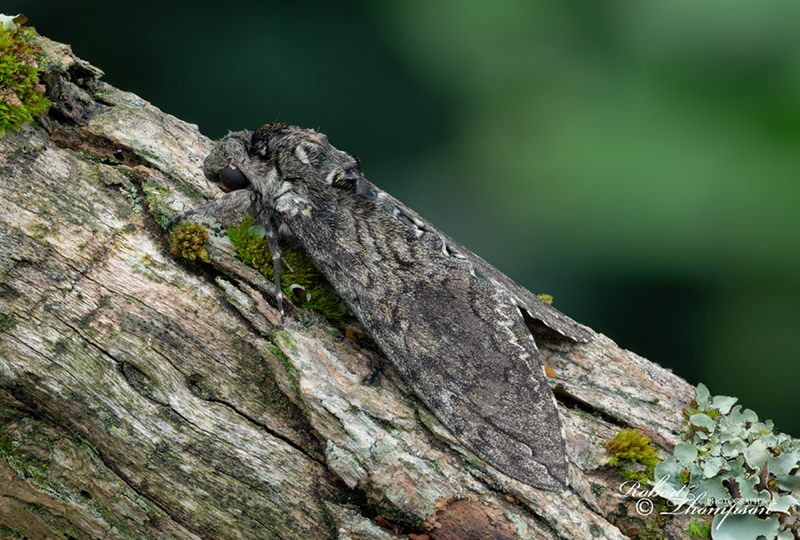 It is a large, robust moth, with a greyish-brown abdomen and a mottled pattern to the wings and thorax which helps to camouflage the moth while at rest during the daytime. The body is generous, with six pairs of yellow spots; the two near the apex of the abdomen being much smaller. The moth when at rest tends to take on a triangular appearance with the prominent yellow spots almost hidden from view. Adults have a wingspan ranging from 9.5 to 12 cm and become active at dusk and again at dawn for a short while. They are also known as hummingbird moths due to their long proboscis and hovering abilities while they sip nectar from a wide variety of flowers. Carolina Sphinx Manduca sexta newly emerged and undergoing wing expansion. Nikon D850, 200mm Micro Nikkor Lens, f/11, ISO 400. 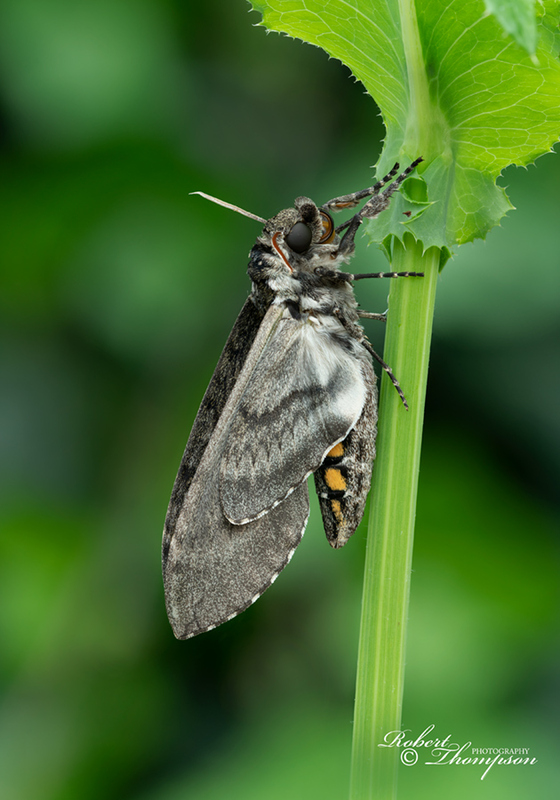 Like many other species of the hawkmoth, the Carolina Sphinx is a specialist of plants belonging to the Solanaceous family in particular Tomato, Lycopersicon esculentum, Potato Solanum tuberosum and Wild Tobacco Nicotiana attenuata. The larvae are bright green with white diagonal stripes and a red horn-like projection at the end of the last abdominal segment. The larvae undergo around five instars reaching a length when fully mature of eight centimetres. They are voracious feeders, stripping the host plant to the midrib and can cause significant defoliation to essential food crops when they occur in large numbers. It is widely regarded as a serious pest in many areas. The larvae blend naturally with the host plants making them difficult to detect. Tobacco Hornworm Manduca sexta early instar larvae. Nikon D850, 105mm Micro Nikkor Lens, f/16, ISO400. When the larva is full grown, it enters the prepupal phase and may wonder for a time in search of a suitable pupation site. The species is subterranean excavating a pupal chamber below ground. Once the transformation has taken place the pupa when hardened is reddish-brown with a conspicuous loop at the anterior end where the proboscis forms. 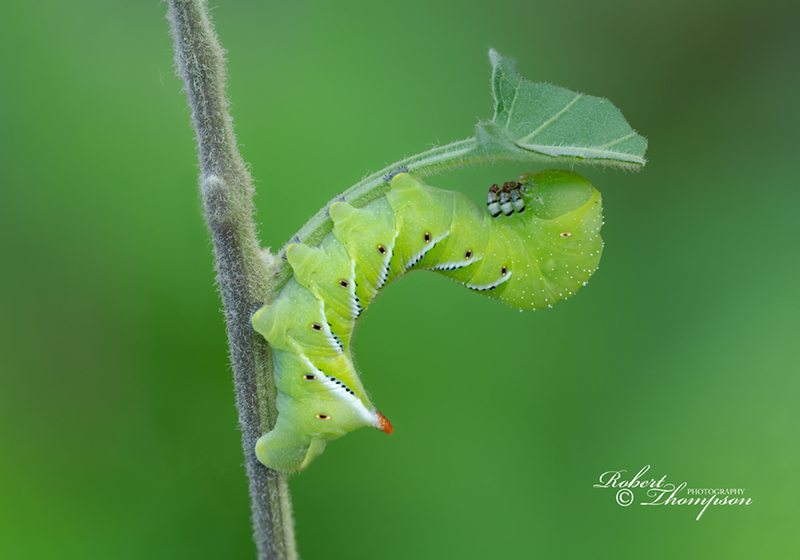 Tobacco Hornworm Manduca sexta mature larva. Nikon D850, 200mm Micro Nikkor Lens, f/11, ISO200. Adults bear a close resemblance to the tomato hornworm Manduca quinquemaculata a closely related species which also has a preference for plants of the solanaceous family. Both species can be separated at the larval stage by the markings on the body and also in the adult phase.